Pretty good book, but it felt like Burke was in rut on this one. He kept trying to bring the story around, but it just never happened. I'd recommend listening to it, but its not one of his better works. Not one of Burke's better books, a little drawn out at times. He was able to keep it suspenseful enough to make it worth listening to. There were time I had trouble distinguishing who the reader was supposed to be, but it made sense all-in-all. Won't set the world on fire but better than some books by this author. It's kind of a far fetched and convoluted tale but the characters are well drawn and interesting, if not entirely believeable. The narrator who has a lovely voice for this genre needs to do a little more research and learn how to pronounce words like SLOUGH... when it's a small body of water it's pronounced 'slew'... and he doesn't. That sort of thing really interferes with the enjoyment of the story. This wouldn't be my first choice as a rental and not worth buying. 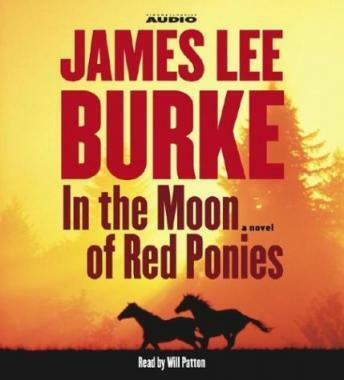 What can I say...I have read all of James Lee Burke's Robicheaux books and I have just started on the Billy Bob series and although Robicheaux will always be my favorites the Billy Bob's are great. Will Patton does a great job as reader...as usual. I would recommend this book to anyone who loves a great mystery.